PACKING PROTEIN— Each morning, Marlee and Barry Hammond find this squirrel in the backyard of their Thousand Oaks home waiting for its regular snack. 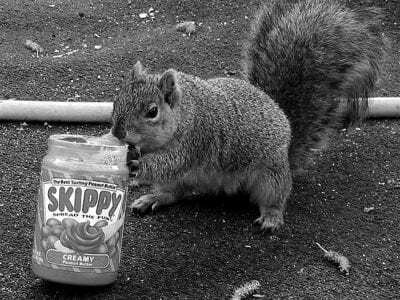 The squirrel is usually rewarded with some bread or crackers with peanut butter and takes the food right out of the Hammond’s hands—sometimes, right out of the jar. What a nutty way way to go.